URL: Corporate Intranet – no URL available. See samples below. 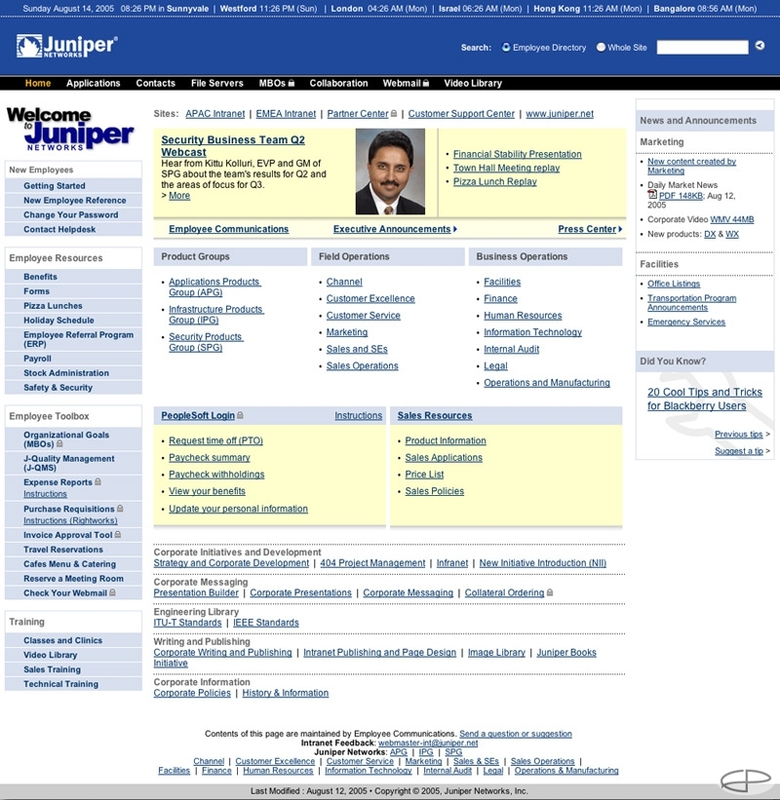 My work with Juniper began with an implementation of Juniper’s Human Resources Reference Guide and grew into a contract position where I was the development and design lead for daily intranet updates. Much of the work was developing new channels and integrating content into the intranet. 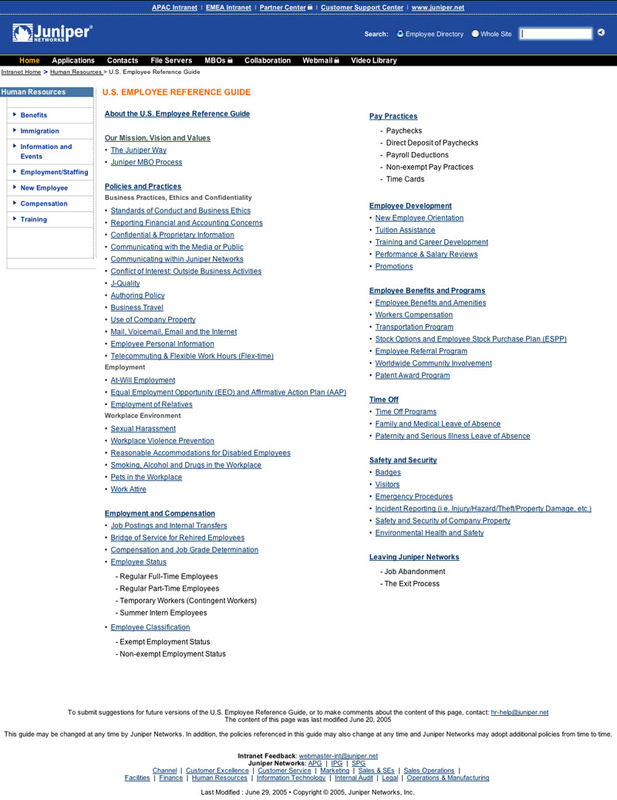 This honed my informational architecture skills a bit further since the organizational structure for the company was growing slower than development of the portal – how the company perceived itself was not clear and yet a structure needed to be evident on the intranet so new and old employees alike could find information. Another of my tasks was to meet with content owners and train them on the use of Dreamweaver and the templates. The intranet was built on Dreamweaver templates and CSS for the presentation layer.